HONG KONG — Kimbo Chan knows all about the food scandals in China: the formaldehyde that is sometimes sprayed on Chinese cabbages, the melamine in the milk and the imitation soy sauce made from hair clippings. 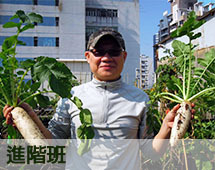 That is why he is growing vegetables on a rooftop high above the crowded streets of Hong Kong. Organic food stores are opening across the city, and there is growing demand in the markets for organic produce despite its higher prices. 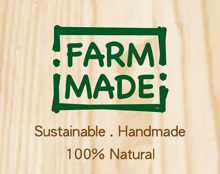 There are about 100 certified organic farms in Hong Kong. Seven years ago, there were none. 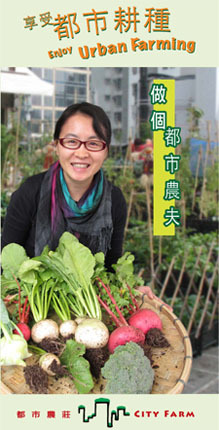 There is no official count of rooftop farms in Hong Kong, but they are clearly part of an international trend. New York has many commercialized rooftop farms established by companies like Gotham Greens, Bright Farms and Brooklyn Grange. In Berlin, an industrial-size rooftop vegetable and fish farm is in the pipeline. 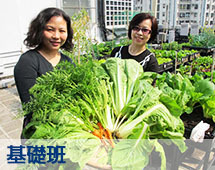 In Tokyo, a farm called Pasona O2 takes urban farming a step further: Vegetables are grown not only on roofs, but also in what was an underground bank vault. With 7.1 million people in one of the most densely populated cities on earth, Hong Kong has little farmland and almost no agricultural sector. The territory imports more than 90 percent of its food. Hong Kong is hooked on vegetables, and 92 percent of its supply comes from mainland China. Land is one of Hong Kong’s problems, of course. There is not very much of it, and only 1.6 percent is farmed, most of it in the New Territories, on the city’s far northern rim. And even that acreage is under threat from developers. A government proposal to develop the New Territories threatens to remove about 242 acres of farmland, according to a joint statement issued by green groups. This accounts for about 13 percent of Hong Kong’s active farmland, they said. People trying to start small organic farms in the New Territories have been deterred by the lack of a clear agricultural policy there. Large vacant tracts held by developers can be rezoned for development almost at will, creating an uncertainty that has scared off a number of potential farmers. Then there are the typhoons, the oppressive humidity, the boiling summers. Soil is another problem. “Imported organic soil isn’t suitable for Hong Kong’s hot and humid climate, and so we had to adjust the soil,” said Osbert Lam, a commercial video director and the owner of a rooftop operation called City Farm. With a graying ponytail, Mr. Lam does not look like a typical farmer, but he is intensely dedicated to his farm. He imported soil from Denmark and Germany, but for a year he had to tinker, sift, mix and adjust before arriving at a suitable recipe. Another issue for rooftop gardeners is Hong Kong’s notorious bureaucracy, and many of the city’s green thumbs are turned back by red tape. 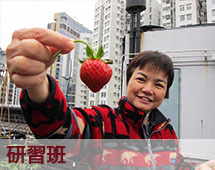 “There is too much work in dealing with the government and the Housing Authority,” said Mr. Wong, the organic-food expert. Still, some urban farmers find the effort worth it. It cost Mr. Lam about 500,000 Hong Kong dollars, or roughly $65,000, to set up City Farm, including all farming materials, an office, piping and wiring. And the whole operation can be easily moved. Fourteen stories above the city’s urban din, on a rooftop the size of a couple of basketball courts, City Farm flourishes with an impressive array of organic vegetables. Black plastic planter boxes adorn the rooftop farm. Some are topped by large bamboo frames holding bitter gourds and pumpkins, while others have little signs stuck into the soil, handwritten with the names of herbs and their planting dates. Made in Taiwan and looking roughly like milk crates, the planters come in three varieties: shallow boxes for growing leafy greens and herbs; a deeper version for turnips, carrots and potatoes; and raised planters that are easier on the farmers’ backs as they tend to their plants. On a recent walk through the beds at City Farm, Mr. Chan, who works there with Mr. Lam, stopped at various plants, talking about them with the tenderness of a parent. He pointed to some Okinawa spinach that he eats raw to reduce his blood pressure. Not far away was a mini-watermelon plant, its fruit the size of Ping-Pong balls and hanging delicately from a bamboo frame, protected from insects by finely woven netting. From a bamboo frame, Mr. Chan picked off a small Spanish chili pepper. After a quick rinse under the garden hose, he eagerly offered it to a visitor.